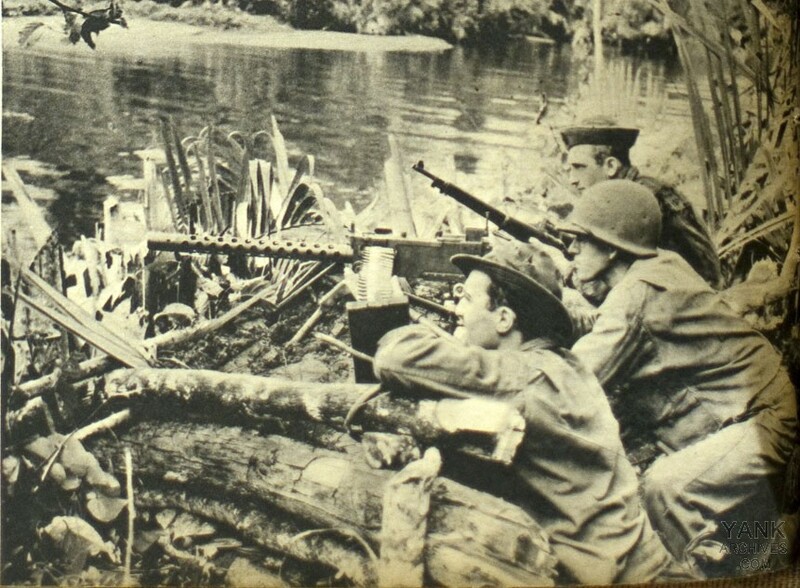 Original caption: Three of the men who participated in the American victory at Buna are shown at right in a .50-caliber machine gun emplacement. Left to right, Pvt. Lawrence Leishman, of Peoria, Ill,; Cpl. Rodney C. Reimur, of Manitowoc, Wis., and Pvt. Martin Denueli, of Cumberland, Wis. Signal Corps made these photos. This photo also appeared in Life magazine in 1943.